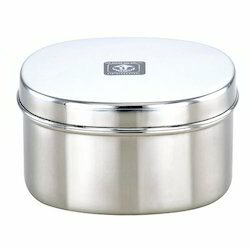 We deal only in stainless steel food containers. 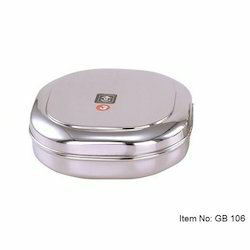 With an exact understanding of the pertinent business, we present ourselves as the leading manufacturer, exporter and supplier of accuracy designed Airtight Stainless Steel Food Storage Container. 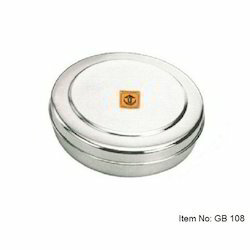 Due to their quality qualities, these containers are generally acknowledged by our customers. In addition to this, our offered containers are conveyed from our end just in the wake of checking altogether against different quality parameters. Keeping in mind the end goal to meet variegated requests of customers, we give these container in different sizes and designs according to their necessities. 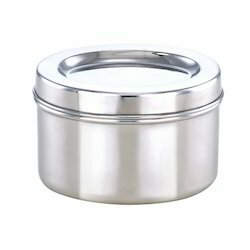 Steel Cookie Container offered helps in making food fresher and healthy and features use of superior grade stainless steel finish so as to provide in them optimum usage value. Some of the products these are suitable for include tea, coffee, sugar and others. 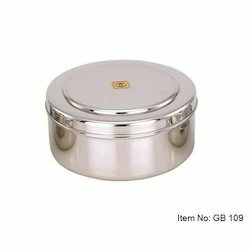 Its features include high quality fashionable designs, mirror polished finish, provide for airtight usage, helps in safeguarding food from moisture, thick wall finish for lasting usage, suitable for storing of products like pulses, nuts, cookies, tea or coffee. 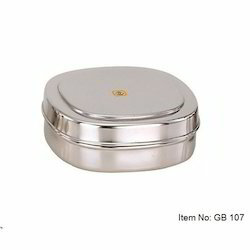 Stainless Steel Cookie Container offered comprise plain/decorative finish based canisters that comes with food grade stainless steel finish which makes them optimum for food storage purposes. 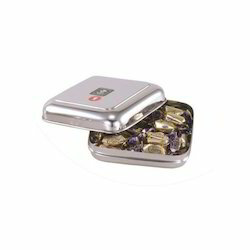 Further, its airtight finish also makes it possible for safeguarding food items from moisture contamination. Some of its features include available in different size options, perfect practical designed finish, provides for good sealing performance, choice of different stainless steel grades like 201/ 202/ 304; choice of mirror or matt finishing choice. 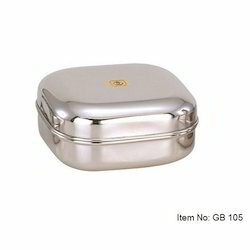 Looking for Stainless Steel Food Container ?